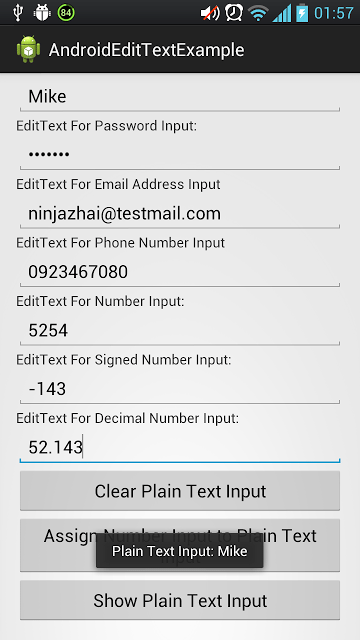 Android SharedPreferences store private primitive data in key-value pairs. 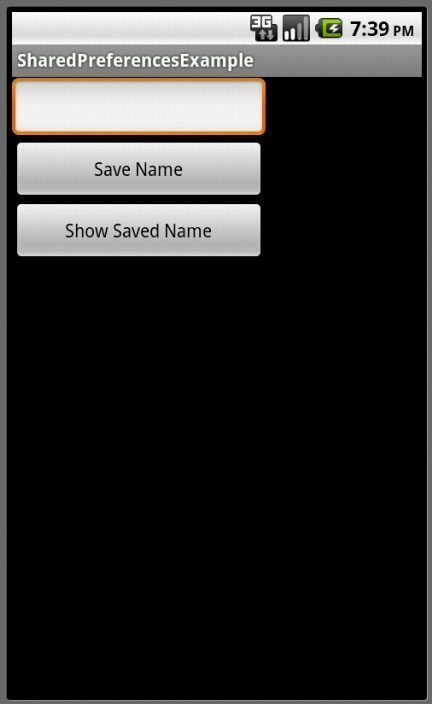 The data saved using SharedPreferences will still be available in the device even if your application is killed. Types of data that can be saved are booleans, floats, ints, longs, and strings. 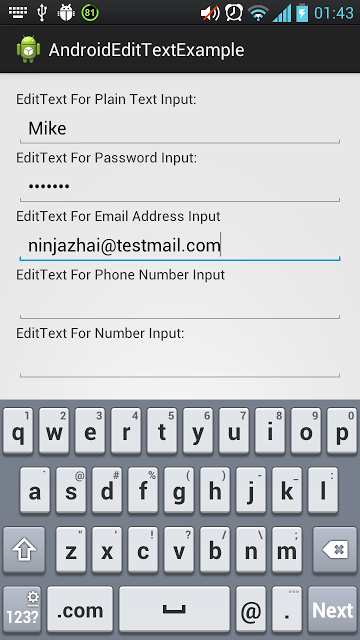 One use of Android SharedPreferences is to store data that can be used in different activity of your application. //which you specify with the first parameter. 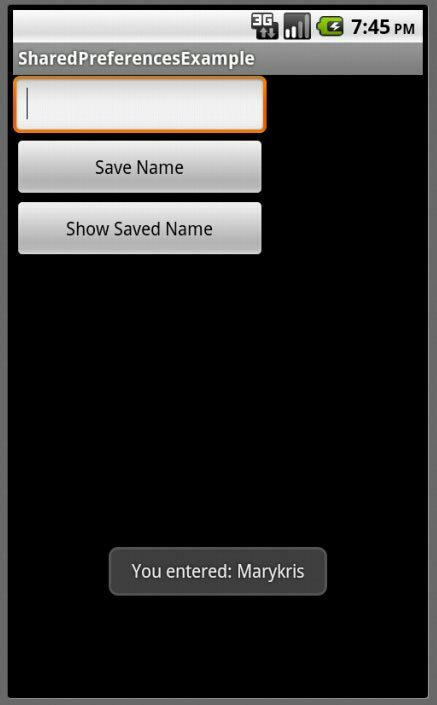 Today I’m going to talk about how I manage Android SharedPreferences in my application. Not a long time ago, I posted about SharedPreferences, so you can take a look back if you don’t have any idea yet about SharedPreferences. I basically used the setter and getter methods, which has been regarded as “evil” by many developers. I’m just a self thought programmer, I’m open to any suggestions by you guys especially if you are an advanced developer or knows a better implementation. I feel convenient using this class, you can instantly write and read your SharedPreference values, especially if you choose to store several SharedPref values for your app. You just have to pass the context and then bam! You can use it even for a non-activity class. Just an example of my SharefPreferencesManager Class. my needs as a computer user and software developer. 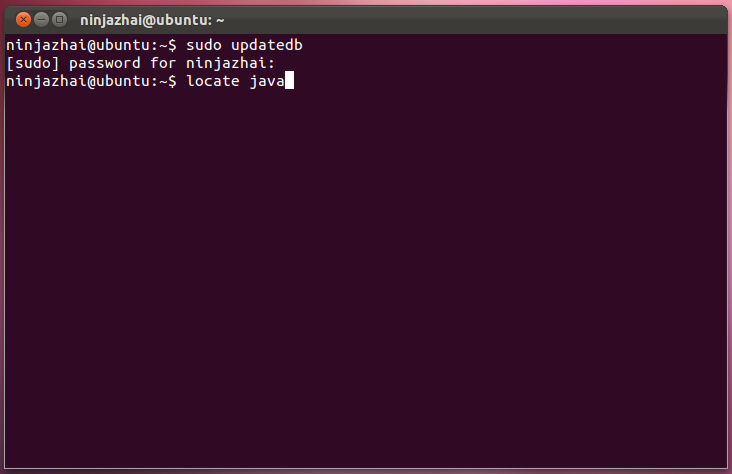 Now I’m thinking to be more of an Ubuntu Linux user than Windows user haha! best open source experts from all over the world. 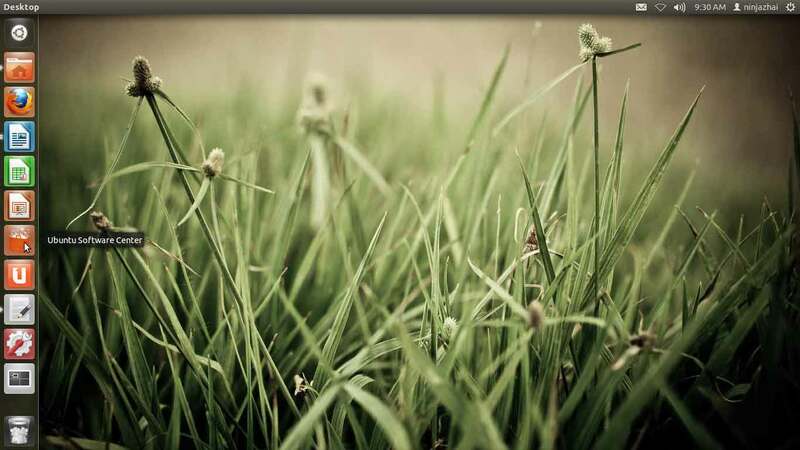 I think this is the only open source operating system that looks great. I find it stylish, beautiful and fast. The terminal will ask you to enter your admin password. 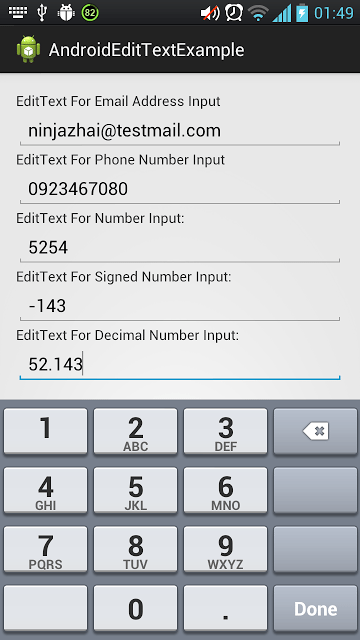 After doing so, it will show you some data about what will be installed. 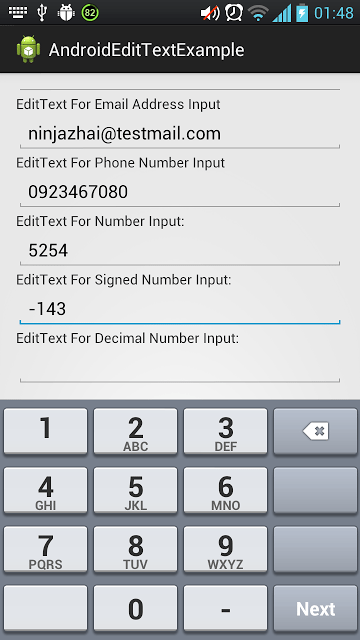 It will ask you again if you want to continue, just type Y (for yes) and press enter. 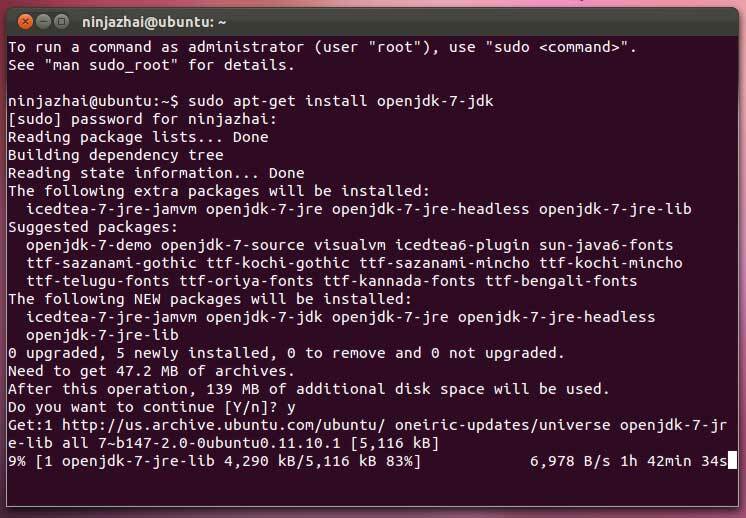 Want to verify if Java was really installed? Here’s how. 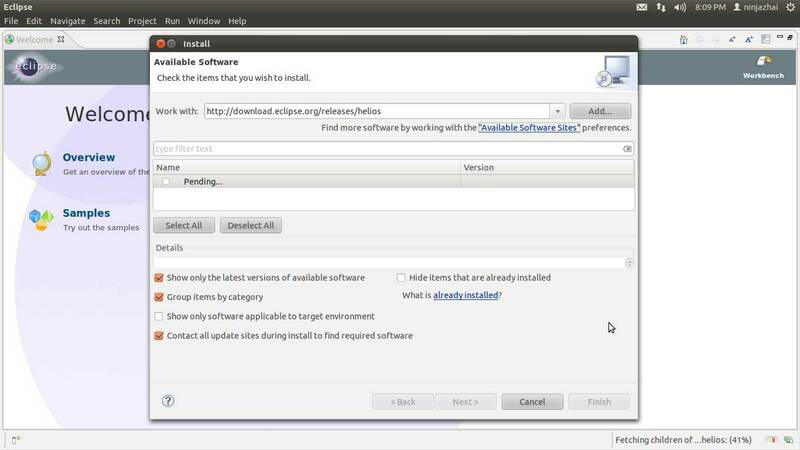 This post covers only how I was able to install Eclipse 3.7.0 IDE on Ubuntu 11.10. 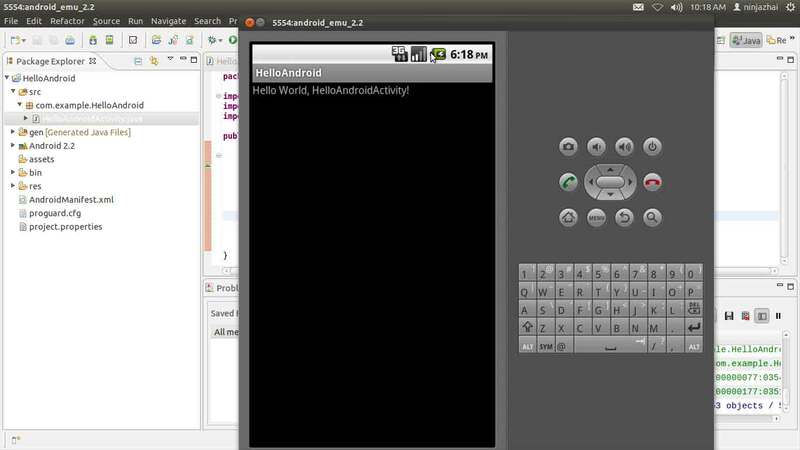 Eclipse IDE is used in most Android tutorials from Google, just like this Hello, World tutorial. 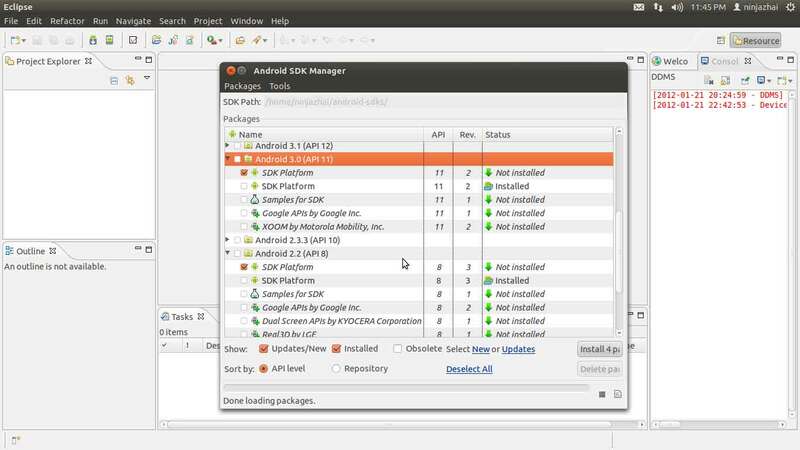 Click here if you want to view the complete links on how I completed installing my Android Development Environment on Ubuntu. 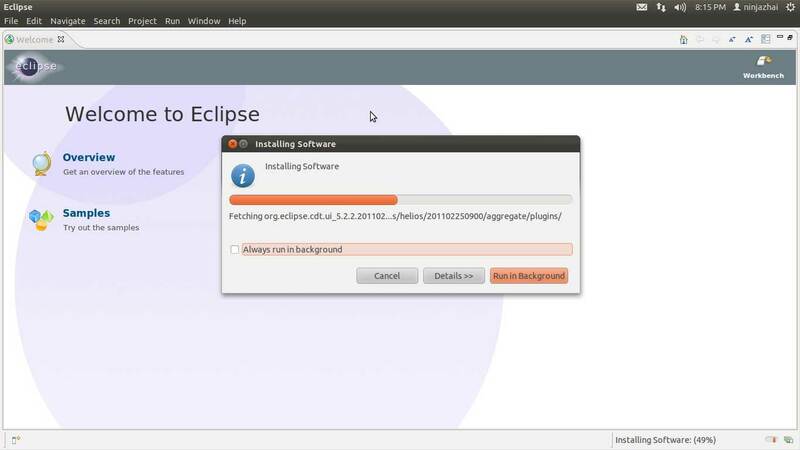 The image above is the screen shot when Eclipse was installed already. 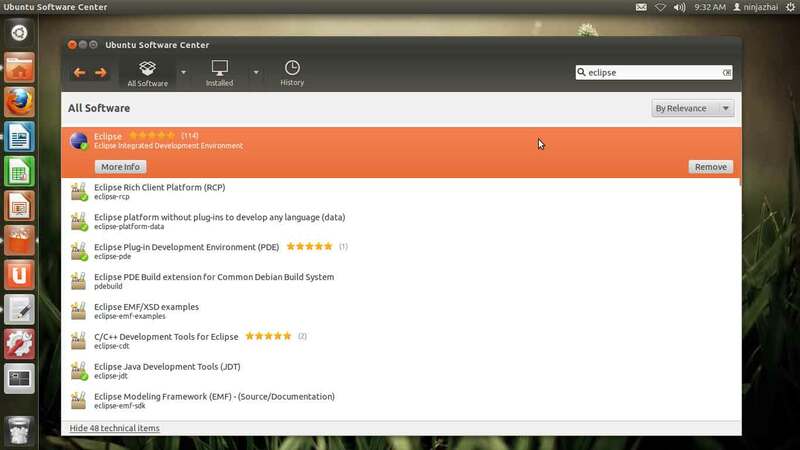 But when you search for “Eclipse” and you don’t have Eclipse installed yet, you can see the Install Button (not remove button) at your screen, right across the Eclipse icon. 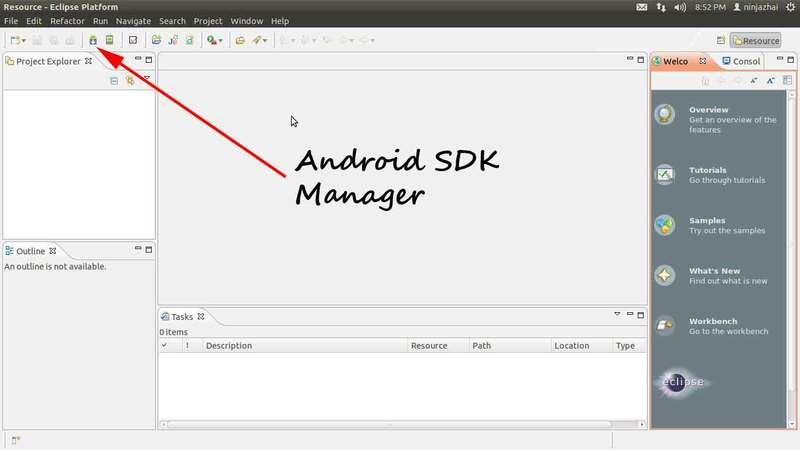 Android Development Tools or ADT is a plugin for eclipse IDE that makes our life easier when developing Android applications. 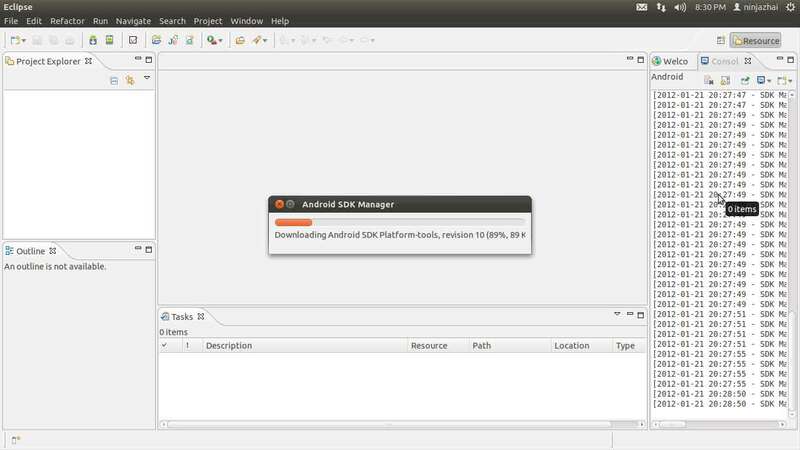 I think this is the reason why we highly recommend using Eclipse IDE during Android development. 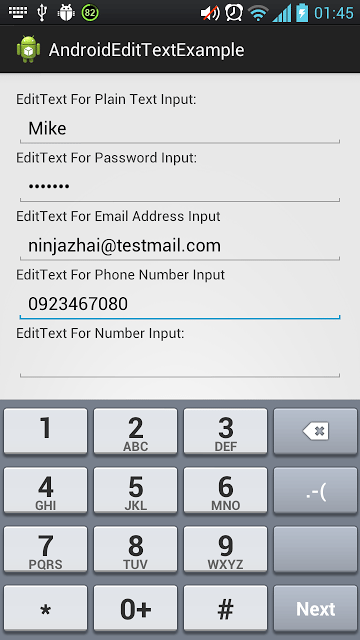 you want to view the complete links on how I completed installing my Android Development Environment on Ubuntu. Second Part: When Eclipse was restarted. suggestions, leave your comment on the comment section below. Thanks! 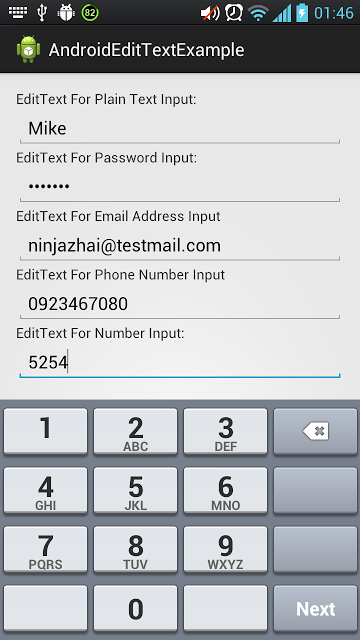 Android Software Development Kit (SDK) enables developers to create Android applications. 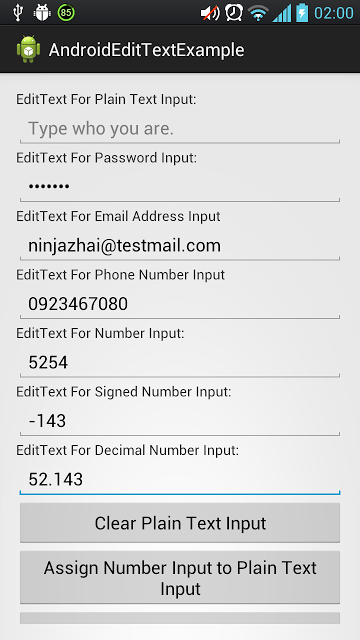 It includes sample source codes, device emulators, required libraries and tools to build Android applications for mobile devices. 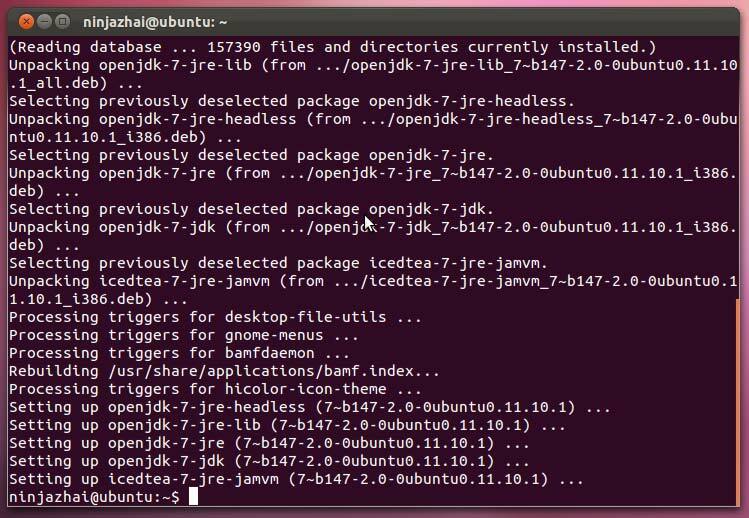 Click here if you want to view the complete links on how I completed installing my Android Development Environment on Ubuntu. 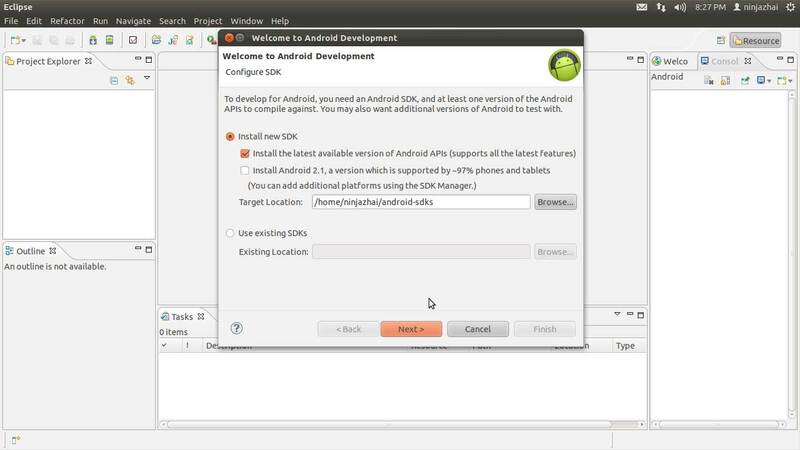 This post covers only how I was able to install Android SDK on Ubuntu 11.10. Note: These steps should be performed after installing ADT and Eclipse was restarted. 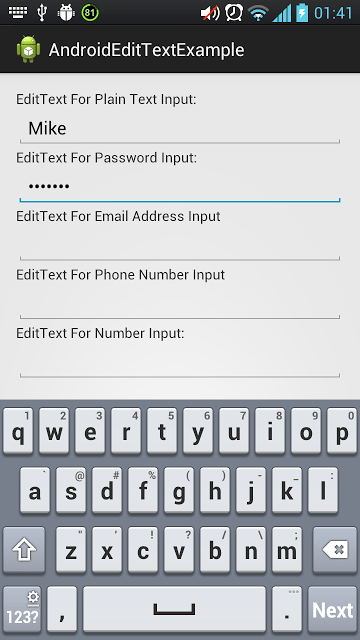 It asked me to enter my password after typing sudo updatedb. 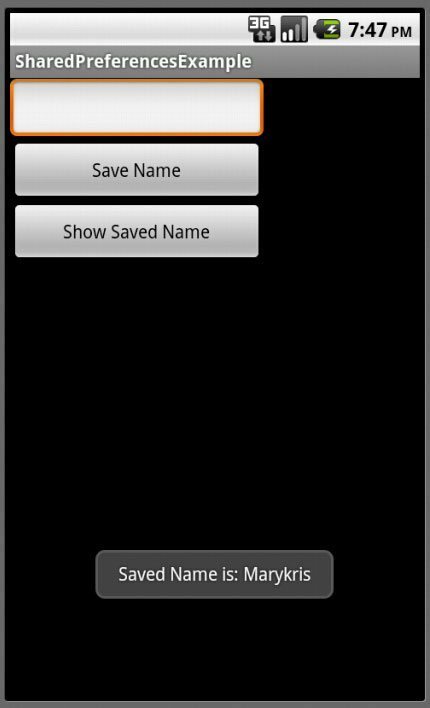 updatedb means you are updating the database for locate or locating your app. locate finds files by name. 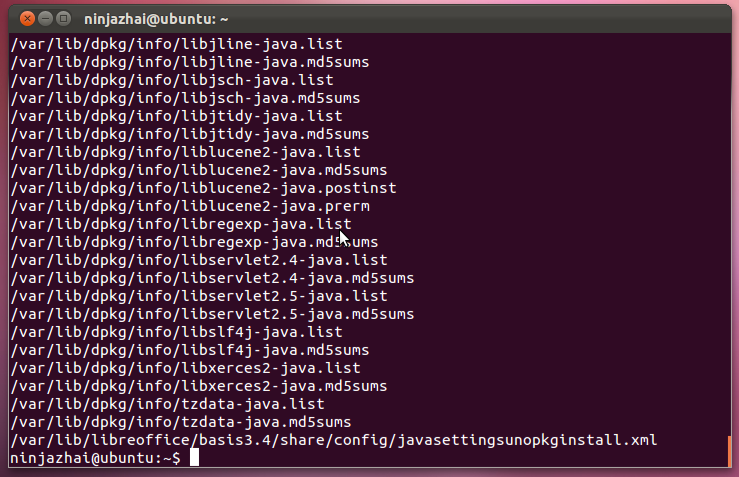 it means JDK was installed.